Fit·ness – the condition of being physically fit and healthy. This is exactly what I believed fitness to be 6 months ago, a condition. A mental condition for people with addictive personalities who let fitness consume all the time in their days and every aspect of their lives. Today, I am embarrassed by my past self and the judgements I made about “fit” people. I couldn’t have been more wrong. I was in denial. I was miserable. I was 6 months into marriage and gaining weight at a rapid pace. And the worst part was my negative attitude towards eating healthy and being physically active. It wasn’t for me. I didn’t have the wherewithal or the motivation to do it/make it a habit– or so I thought. I needed to make a change and I knew it so I started scanning Groupon for the cheapest alternatives for eating healthy and working out. This is when I found Texas Fit Chicks. I bought the Groupon and within minutes I was exchanging emails with my new trainer Terah, and my first class was set for Monday – April 4, 2016. This was the day that changed my lifestyle and outlook on everything fitness-related. The class was new and exciting each time I went, the other women were welcoming, encouraging, and willing to share their own fitness journeys (without fear of being judged), Terah was positive, motivating, and honest, and I had found the fitness path I wanted to continue down. My body was changing without me realizing it. I had let my body image get so distorted by my initial weight gain that I wasn’t allowing myself to see my results. Lucky for me, Terah loves the little accomplishments, and lets myself (and the other women) know when a baby muscle has appeared somewhere on our bodies, when our squats get lower, when our pikes get higher, and when we accomplish something that we couldn’t just a few weeks prior. She rubbed off on me. I started to see the little changes that were occurring and started appreciating my accomplishments and my body more. Since starting TFC I have lost about 10 pounds and a few inches from my waist, arms, thighs, etc. But, most importantly to me, I gained confidence in myself, I gained confidence in my body, and I have gotten physically and mentally stronger. I know that with my continuing TFC journey my strength will continue to increase, my eating habits will continue to get healthier, and the love I have for TFC and the ladies I get to spend three evenings a week with will just get more intense with each passing class because I wouldn’t be where I am today without them. 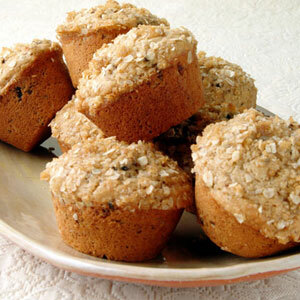 These little muffins are mighty and they will help you power through your day! They are packed with yummy goodness and are nutritious! Enjoy as a snack or part of your morning breakfast. Adjust oven rack to middle position. Preheat to 350. Fit Chick Transformation: Richardson Evening Texas Fit Chicks!! I'm a 34-year-old stay-at-home mom of a toddler and a baby, who I still breastfeed. My baby is now almost 1 years old and I decided it was time to get the weight off. I had been eating junk food out of boredom and convenience and it was taking a toll on me. I cleaned up my eating with My Fit Pal for guidance and joined a 3-month plan at Texas Fit Chicks in Richardson Evening Texas Fit Chicks. I told myself I wouldn't miss a single class. Even when I traveled out of town I arranged a personal trainer. I started running again and added an extra day of exercise. Sure enough the weight is coming off. Within my 3 months of better nutrition and workouts, I've lost 31 lbs and multiple dress sizes. I don't get tired lugging the kids around now, and I'm excited to see an improvement in my blood pressure, sugar, and cholesterol! I'm still working on lowering my body fat and I know I will hit my goal with patience and dedication. By no means is my "diet" overly intense. I still enjoy pizza and ice cream with my kids, but in moderation. I'm looking forward to my continued transformation thanks to the support of Texas Fit Chicks and trainer Wendy Lee! 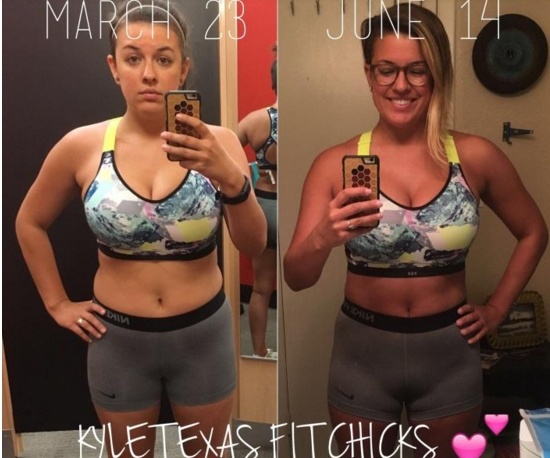 Fit Chick Transformation: Waco Texas Fit Chicks!! Body Transformation is possible for you! Sign up for a camp at www.fitchicktraining.com, and start your fitness journey! They say the best teachers are those who have struggled themselves. Well, I struggled alone, but you don’t have to. Check out my own transformation! My mommy tummy is still there and I'm not yet totally ripped. But I have confidence to post a picture of myself on Facebook, in a bathing-suit. For someone who used to hide behind my kids in photographs, that is a big deal. In 2010, my husband was diagnosed with a Chronic Illness and was hospitalized 10 times in 6 years. In that time, we had two lovely children who kept me smiling during the darkness - a big burden to carry on their sweet, little shoulders. Living far from family in Germany, with a husband in the hospital or sick at home, I was taking care of two children alone and working for much of the time. At the end of the day, I escaped with food, wine, and general “vegging-out”. I reached 180 pounds and gave my hope away along with my skinny jeans. But somewhere, deep down in my mommy tummy, a fighting voice told me I could be healthier and happier. After months of hard work, I lost over 30 pounds. My fitness levels are fantastic. My story is not unique. Life throws things at all of us. You women are amazing in all you do to handle it and take care of others at the same time. But to truly take care of others, you must first take care of yourself. Take this step for yourself and those you love. Get fit and healthy. Sign up for a camp athttp://www.texasfitchicks.com/meredithd!!!! Sore Muscles? 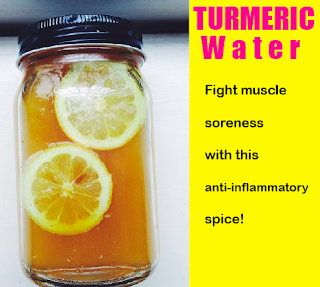 Try Water with Turmeric!! Workin' on staying hydrated but also find that your muscles are a bit sore from our calorie-torching workouts? Try drinking water with turmeric! This is a go-to when you've got muscle soreness and/or a headache - turmeric has many great health benefits, including being a fantastic anti-inflammatory! Goodbye soreness and hellooooo hydration! 1. Turmeric is a natural anti-inflammatory and has been proven to reduce pain symptoms and help chronic pain sufferers with arthritis and rheumatoid arthritis. 2. Turmeric has long been recognized for it’s healing powers by physicians and healers in the holistic community, however western medical professionals are only just starting to learn about turmerics benefits. 3. If you suffer from acne, turmeric is not only helpful taken internally but you can also use it externally by making a turmeric paste! 4. Turmeric root can be juiced and used as a pain reliever. Only a small amount is needed to do the trick. 5. Even chronic sufferers of arthritis and rheumatoid arthritis can experience relief by using turmeric on a frequent basis. Use it raw for best results by sprinkling it on salads and raw dishes as well as mixing it into fresh vegetable juices & coconut water. 6. Clean cuts and wounds with turmeric, it’s a natural anti-septic and anti-bacterial. 7. Turmeric has high amounts of anti-oxidants that fight cancer causing free radicals, keeping your immune system strong. If you have a cold or flu, turmeric is one of the best things you can do to speed up recovery. 8. Even chronic skin conditions like psoriasis can be helped with turmeric. for a healthy skin regimen, make a turmeric cocktail every day for 2 weeks accompanied by fresh raw foods, juices and green smoothies. 9. Using turmeric in your daily or weekly regimen will help you recover from yoga and workouts faster by reducing inflammation and easing sore muscles. 10. Turmeric also contains good amounts of iron and other minerals so use it as a blood builder. Disclaimer: Don’t use turmeric in excess, less is more. It’s also important to check with your practitioner if you have a liver condition as turmeric can be hard on your liver in some cases.